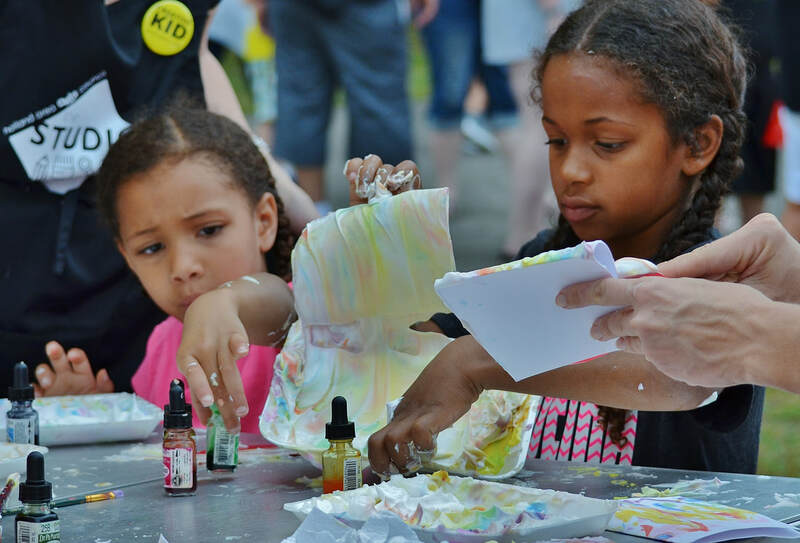 The Arts Council improves access to the arts for the broader public by hosting outreach programs that offer arts experiences at festivals, schools, fairs and community events at little or no cost to participants. Places where you'll find us: Holland Multicultural Festival, Holland Pride, Herman Miller Picnic, Holland Farmers Market, Zeelmania, Hope College Community Day - and a neighborhood near you! These events also give us the chance to get to know our neighbors and find out what they want from their Arts Council. ArtCarts: The Arts Council’s newest way to help you “get your creative on,” our mobile ArtCarts deliver creativity to your doorstep! Filled with all you need for a hands-on creative experience, the ArtCart is a great way to entertain a group of kids or adults. For just $250, our Creative Technician comes to your home or organization for up to two hours with an art-making station filled with project supplies. Simply choose a project from the below menu and our Creative Technician will take care of the rest! 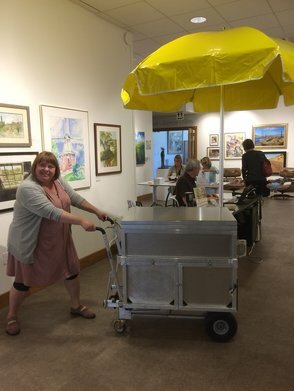 To book the ArtCart for your next event, please contact Mary Sundstrom at mary@hollandarts.org or 616-312-1211. Materials for up to 20 people included, larger groups can be accommodated although pricing may vary. ​The Holland Area Arts Council, Holland Museum, and Hope College’s Kruizenga Museum partnered this fall to create a new educational offering for area upper elementary and middle school students called Cultural Classroom. This inclusive and educational program will bring students downtown Holland for a three-in-one cultural arts package including a visit to all three collaborating institutions. Cultural Classroom will be a wonderful addition to the area schools’ arts programming. Students started at the Holland Museum to check out the Taller de Gráfica Popular (TGP) exhibition, which highlights the Mexican artist collective of the 1930s and 1940s. Museum staff led students in using Visual Thinking Strategies to engage with the art. As a group, students used visual clues to brainstorm what is happening in each piece. By practicing active looking, questioning, and engaging with each other’s ideas, students left the experience with a broad understanding of the topic and time period. Next stop was the Kruizenga Museum to see "After the Rupture: New Directions in Mexican Art 1960s-1980s." This exhibition featured a selection of works by artists associated with the Rupture Generation. The works in the exhibition were drawn from the collections of Hope College and the Armstrong-DeGraaf Gallery as well as several private collections. The exhibition effectively conveyed the dynamic spirit and diverse styles that characterized the Rupture movement. Finally - to The Studio at Holland Area Arts Council where, referencing the images that the students had seen in both the Kruizenga and the Holland Museums, students created a graphic poster using linocut methods and collaging. Focusing on the principles of graphic design, students overlayed their own creations on a base poster creating their own message. Through this process students not only took home a graphically beautiful poster, but also a familiarity with the tradition of using simple means to create important social messaging. Underwriting this project is Milagro Six, owned by Tony and Ginner Castillo. The Arts Council partners with Hope to provide art programming, including gallery tours and art projects, for CASA. We serve approximately 120 kids throughout the summer in different sessions. Contact Mary Sundstrom at mary@hollandarts.org or 616-396-3278 for more information. Art for All, a unique art program for adults with mental and/or physical disabilities, began in 1985 as an opportunity for individuals in the community to experience the arts. Original underwriting was by the Life Consultation Center. By 1997 the program was absorbed by the Holland Area Arts Council, and classes were moved to its new building at 150 East 8th Street. Mae Van Ark, a local artist and art instructor, was the guiding light for the program and taught the Art for All classes from inception until her retirement in 2009. Today the Art for All program is a year-round class taught once a week for an hour and a half. The present supervising instructor is Sandie Coffman. Student attendance varies from 13 to 20 each week. The cost is $20 per month, and scholarships are available from community sponsors. 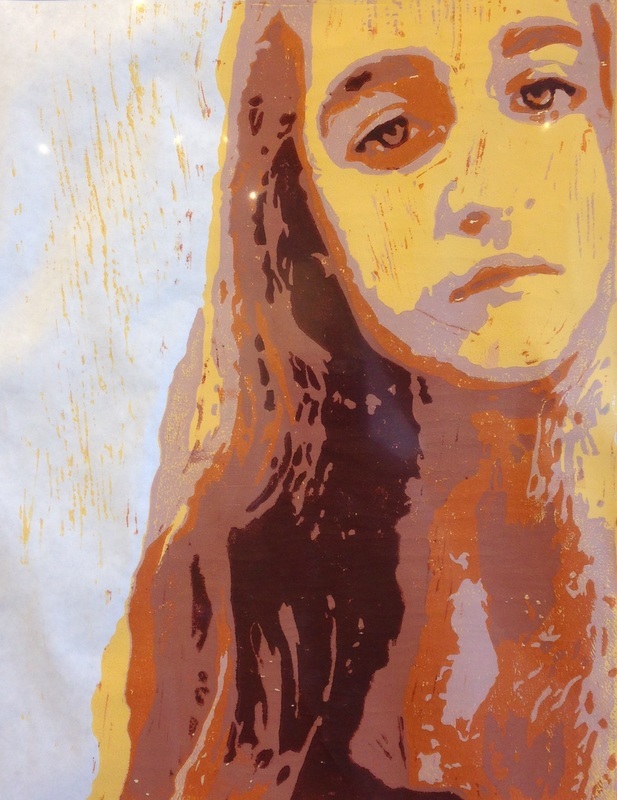 Art for All students are exposed to various art media including printmaking, weaving, clay sculpture, painting, and wood construction, as well as dance and movement. Art for All is sponsored, in part, by a grant from the Community Foundation of Holland/Zeeland. Call Mary at 396-3278 for more information. Live Arts is an art program for at-risk and special needs high school students. 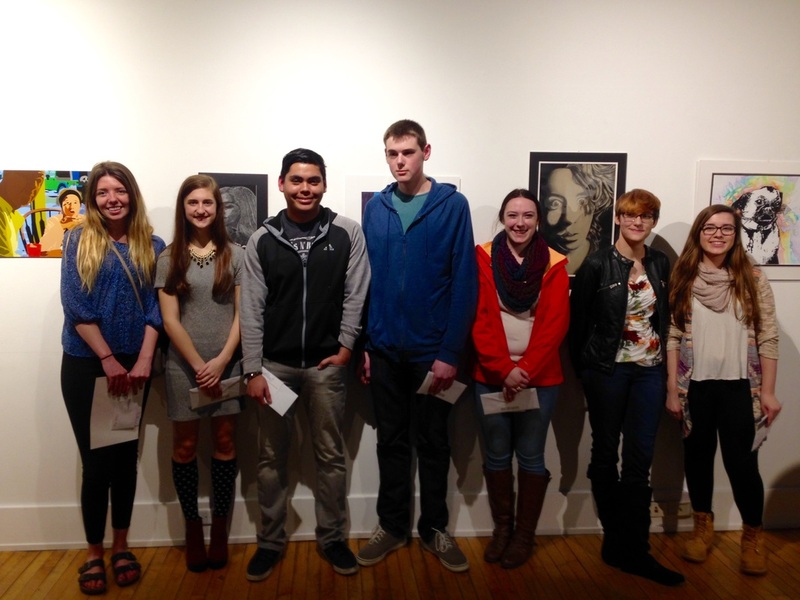 For twelve weeks during the spring, the students visit the Arts Council for a wide range of advanced art projects. Professional artists even provide occasional demonstrations. At the end of the session, the Arts Council hosts an exhibition of the students' artwork. ​On March 12, 2017 ninety five women of different faiths and cultures came together at the Holland Area Arts Council for an event entitled "Peace by Piece". In attendance were women from the mosque, Masjid At-Tawheed in Grand Rapids, Holland area churches, and women of newly-settled refugee families in the West Michigan area. The coordinators, Pastor Linda Knieriemen, local artist Carolyn Stich, and Anne Du Mez had one goal, to create interfaith unity by breaking down the fears and preconceived ideas of each other and building friendships. They believe whole-heartedly we can make a difference in our communities to overcome uneasiness and fear with a simple art project promoting love and understanding. Calling All Colors fosters inclusive school communities through a year-long program that features two conferences, creates a safe place to talk about race, and provides tools for increasing positive racial impacts for middle and high school students. ​The Arts Council took part in the 2015 Calling All Colors by securing the assistance of five local artists who have immigrated to the U.S. from other countries. These artists shared their experience of self expression in the context of their diverse cultural backgrounds. ​Part of the goal of making Holland’s Unity Bridge symbolize our community’s diversity is to involve our young people in a public art project. Each year we challenge students to explore the concepts of race and ethnicity, along with other forms of identity, and create visual art, poetry and stories which express their experience in a diverse community. In 2015, twenty-eight area students' artworks were chosen to occupy the eight kiosks in Van Bracht Park adjacent to the Unity Bridge. Holland Friends of Art was founded in 1963 through the efforts of a group of artists, patrons, and the City of Holland. The goal was to initiate an annual art show and to stimulate community awareness of the creative talents in the Holland area. 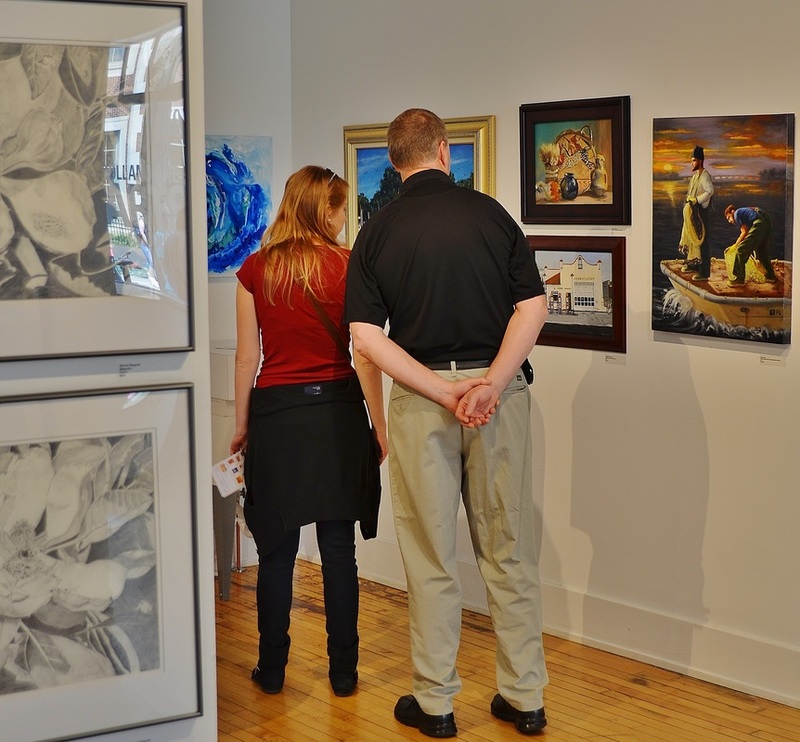 We have grown over the years to be a well-respected supporter of the visual arts within West Michigan. Membership is open to all persons with an appreciation for art. HFA welcomes the artist and the craftsman regardless of skill level. Whether beginner, amateur, or professional, HFA embraces those who support the growth of art appreciation and education within our community. Based at the Holland Area Arts Council, the HFA holds programs on the third Tuesday of every month at 7:00pm. For more information visit hollandfriendsofart.com. Thirteen area high schools take part in this exciting exhibition including Allendale, Black River, Careerline Tech, Coopersville, Fennville, Grand Haven, Hamilton, Holland Christian, Holland, Jenison, Saugatuck, West Ottawa and Zeeland. Each art instructor may submit 16 works from their students. The Arts Council chooses a juror from the artistic community whose task is to choose around 100 pieces for the exhibit. While this creates a tremendous amount of excitement around the show, it also injects the element of competition that exists in any juried exhibition. Over the years our jurors have been well respected artists, educators and connoisseurs of art. Over the years our jurors have included the Dean of Arts and Humanities at Hope College, professors from Grand Valley State University and Hope College and the Executive Director of ArtPrize.